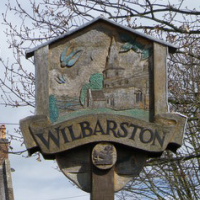 Wilbarston Parish Council consists of 8 elected councillors who serve for a four year term and receive no payment whatsoever. Council Meetings are normally held on the 2nd Thursday of each month, except August - see the diary of meetings for more information. Our councillors are elected or co-opted, if you would like to become a councillor or find out more about what they do then please contact the Clerk to the Council. Standing Orders are the rules which the Council operate to. We have a Clerk to the Council that works with Kettering Borough Council and Northamptonshire County Council to deliver the range of services. She can be contacted by phone or email.